"Jimdo" Reviews (Apr 2019) - Why 4.6 Stars? 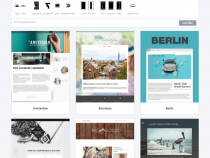 A perfect tool for making your first website, Jimdo is an ultra-simple website builder. The tool's interface offers plenty of flexibility to create the website of your dreams — but not so much that you drown in drag-and-drop quicksand. Experienced users may outgrow Jimdo, but the company offers strong SEO and eCommerce tools for affordable rates. “As teenagers, Fridtjof Detzner, Christian Springub, and Matthias Henze started a design and development agency to help those without programming skills get a website. After hearing many clients express dreams of wanting to take ownership of their online brand and build their own site, the trio set out to build the runway. From the beginning, the three Co-Founders sought to make a system easy enough for their mothers to understand how to create a website. The end result is one of our favorite interfaces. Now, celebrating more than 10 years of helping aspiring site owners build the website, blog, and online store of their dreams, Jimdo continues to present a solid, lean, and affordable platform to help customers and small businesses get off the ground. Jimdo excels in its simplicity, while also seamlessly integrating tools for blogs, eCommerce, and search engine optimization. Many users might bristle at the concept of a website builder that doesn't provide the true drag-and-drop experience, but we love how Jimdo's stackable content blocks ensure everything is always properly aligned and spaced. Jimdo comes with a wide assortment of modern, clean templates that are optimized for mobile devices, and the revamped interface allows you to preview how your site will adapt to various screen sizes. The team recently unveiled Dolphin, an automated design experience that creates complete websites in a matter of minutes after users answer a handful of questions. Get started on Jimdo now. “At one end of the hosting spectrum, customers who seek a full-fledged hosting plan and website builder combination can expect to spend upward of $100 per year for a bevy of features and tools that might largely go unused. With Jimdo, however, users that are fine with using a Jimdo subdomain can keep their site online for free for however long they'd like. Fourteen-day free trials are far more common in the website builder industry, but Jimdo includes a cost-free option among its three packages. Subscribers to the free plan might miss out on some tools for site analytics, search engine optimization, and eCommerce, but Jimdo provides enough basic features that customers won't feel like they were left out in the cold. Without a ticking clock reminding site owners that their cost-free happiness will be short-lived, customers are free to explore the platform and make a fully-informed decision about whether to upgrade. 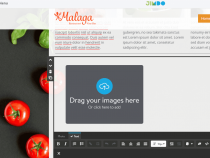 Every Jimdo website includes roughly 100 professional templates with countless styling options, along with built-in tools for blogging, social media, videos, photo galleries, maps, contact forms, and online stores. Perhaps one of the coolest inclusions is the free HTTPS encryption across all sites — visitors' data will be secure and your website will get a boost in search results. Laura Bernheim (HostingAdvice.com): This rating is not available yet. We haven't evaluated Jimdo for the "Dedicated" option yet as they do not currently offer this type of hosting service. We're always working to keep our reviews up-to-date so check back later! Does Jimdo already offer the "Dedicated" option? Let us know. Laura Bernheim (HostingAdvice.com): This rating is not available yet. We haven't evaluated Jimdo for the "VPS" option yet as they do not currently offer this type of hosting service. We're always working to keep our reviews up-to-date so check back later! Does Jimdo already offer the "VPS" option? Let us know. Laura Bernheim (HostingAdvice.com): This rating is not available yet. We haven't evaluated Jimdo for the "WordPress" option yet as they do not currently offer this type of hosting service. We're always working to keep our reviews up-to-date so check back later! Does Jimdo already offer the "WordPress" option? Let us know. “Jimdo makes the onboarding process exceedingly easy for new customers. Whether you're signing up for a free or paid plan, the first step is to choose a template. You can try several different options in the editor, but we found the system's template filter to be an extremely useful tool that enables users to quickly identify templates that include the desired navigation style or column structure without having to sift through 100 or more options. Jimdo's templates are certainly above average, but likely won't knock your socks off when compared with pricer site builder alternatives. The main Jimdo interface, Creator, neatly wraps all features in an easy-to-navigate portal. Site owners can quickly and intuitively select new color schemes, change out photos, and add new elements. More experienced users might miss the fine-grain control other builders provide, but we like that Jimdo doesn't give users enough rope with which to hang themselves. You still get the full what-you-see-is-what-you-get, or WYSIWYG, experience, but you won't have to worry about accidentally moving something out of alignment. Jimdo revamped Creator in late 2017 as it launched a newer system, called Dolphin. Making an easy web design process even easier, Dolphin promises a complete website in three minutes or less. Users answer a series of questions about business information and design preferences, and Dolphin's artificial intelligence will create a ready-to-publish website with relevant text and imagery. Site owners can enjoy the head start and continue editing and tweaking content, rather than planning what needs to happen next. Try out Jimdo with a FREE account. Your site will be housed on a Jimdo subdomain and display ads, but all basic features are included. Test the company's SEO and eCommerce tools to see if the features are worth upgrading to a paid plan. Well-rounded template options give users a solid starting point from which to create and customize your look. The Jimdo interface provides all the options you'd expect from a site builder, and plugins from POWr add extra functionality. Instead of pure drag-and-drop chaos, we actually appreciate the slight restrictions Jimdo places on template customization. Users can stack and arrange website elements like building blocks, meaning everything will align properly and have room to breathe. Available for preview in October 2017, Dolphin asks users brief questions about their business and creates a personalized website with text, photos, and other information — in three minutes or less. Connect social media accounts to integrate your own photos and text and save more time. Industry-specific designs and content let site owners skip much of the planning and building phases by giving them a complete website to edit and adjust. Dolphin comes with a new editor interface that emphasizes usability. With Dolphin in early stages of development, more improvements and features are in the works. The company is gathering user feedback to help steer the platform's direction. Easily control page titles and meta descriptions with Jimdo's editor. Free users can only adjust the homepage, but premium site owners can edit all content, create custom page URLs, and build an XML sitemap. All Jimdo websites are encrypted with HTTPS and SSL certificates, which protect the connection from your users' browsers to your website. Particularly useful for eCommerce store owners, SSL certificates also boost your spot in search results. Jimdo integrates with the rankingCoach add-on service, which gives users clear SEO tasks and step-by-step instructions on how to perform better in search rankings. All Jimdo plans support eCommerce stores with a PayPal integration and no transaction fees. Free users can sell only five items, while top-tier customers can publish infinite product listings. The site builder takes care of all the hassles with configuring an online store. Security requirements are covered with included SSL certificates, and options abound for accepting payments and coordinating shipping prices. Jimdo's eCommerce platform allows online entrepreneurs to set a variety of shipping options, ranging from free shipping for large orders to a maximum shipping cost threshold. 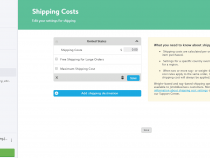 Premium users can also set shipping prices based on weight or product categories. The Jimdo team revamped the entire website builder interface when launching the Dolphin automated design system. Users can start by using the company's handy filter to quickly identify which themes have the navigational and structural elements desired. Some users might get frustrated with the lack of true drag-and-drop functionality, but we actually prefer Jimdo's grid-like approach to design — clear spacing, rows, and columns contribute to an effortless and efficient layout. Tools for design, eCommerce, blogging, search engine optimization, domains, and email are all readily accessible from the Jimdo interface, as well as website settings and customer support. One of the rare — if only — website builders to offer a bona fide free option to customers, Jimdo enables users to save to matter the pricing plan they choose. While most companies offer a 14-day free trial, Jimdo allows users to house their websites on a company subdomain for free for as long as they'd like. Upgrading to one of the company's two paid plans unlocks a handful of useful features, particularly including site analytics, search engine optimization tools, and enhanced eCommerce capabilities. However, Jimdo's prices remain significantly lower than those of competitors across the board — an especially good bargain when the online selling abilities are taken into consideration. As is somewhat typical among website builders, customer support lags noticeably behind what site owners can expect to find with full-service hosting providers. Jimdo supplies customers with a thorough knowledgebase full of helpful articles and FAQs that explain everything from design and dashboard basics to online stores and search engine optimization. Users can submit tickets through a contact form, and Jimdo ensures native speakers will respond in the language you need. Pro customers will receive a response within a day or two, while Business plan subscribers can expect a response between two and four hours during business hours. Beware, however, that because Jimdo's headquarters are in Germany, the company's hours may not match your own. Yes, technical support is less than ideal, but Jimdo's super-simple interface and features mean you likely won't need as much help as if you had chosen the traditional web hosting route. Jimdo has everything new site owners need to build a successful online presence: an easy-to-use interface, ample storage and bandwidth, responsive designs, and apps for search engine optimization and eCommerce. Paired with affordable prices, the Jimdo platform will brilliantly help users create their dream website. High-powered users and rapidly scaling sites might outgrow Jimdo rather quickly, however, as the company's tools and limited add-ons don't keep pace with established competitors along the lines of Wix, Weebly, Squarespace, and Shopify. But we appreciate the power of simplicity, which Jimdo has in spades; instead of getting mired in the overwhelming options and achieving pixel-perfect alignment in the drag-and-drop editors, rest easy and rely on Jimdo's refreshing templates and stripped-down interface.